This entry was posted in Education, Lutheran, School Choice and tagged Lutheran, Lutheran school, National Assessment of Educational Progress, Private school, Public school, State education agency by brvanlanen. Bookmark the permalink. In Missouri, the Lutheran high school in St. Charles boasts the top ACT scores in the state and 95% of the graduates go one to pursue a college education. 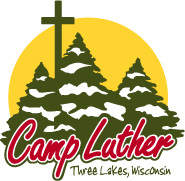 Thank you for this great post highlighting the benefits of Lutheran education!